People enjoy when the pavement is given over to pedestrians. A simple way to make the street a public space. The study of urban spaces has a long established history. Urban cultural critic, Louis Mumford studied spaces as they related to the function of urban life. Renowned urban researcher William Whyte studied the way the design of spaces affected human behavior. Whyte’s approach harkened back to the days of the environmental design movement, typified by the late 60s/ early 70s teachings at such schools as the University of California Berkley and the University of Michigan. In his text and video of the same name, The Social Life of Small Urban Spaces, Whyte noted several key ingredients for successful urban spaces, mostly pocket parks and plazas. What I find fascinating is that people get excited the most when a typical street, focused on cars, is closed off and opened up for the public. This was reinforced for me recently, in Toronto, where I attended the Nuit Blanche, where the city was transformed for a night by arts-based activity. Part of this celebration included the closing of Yonge street, the main thoroughfare. This has also been demonstrated in many instances in New York as urban experiments. 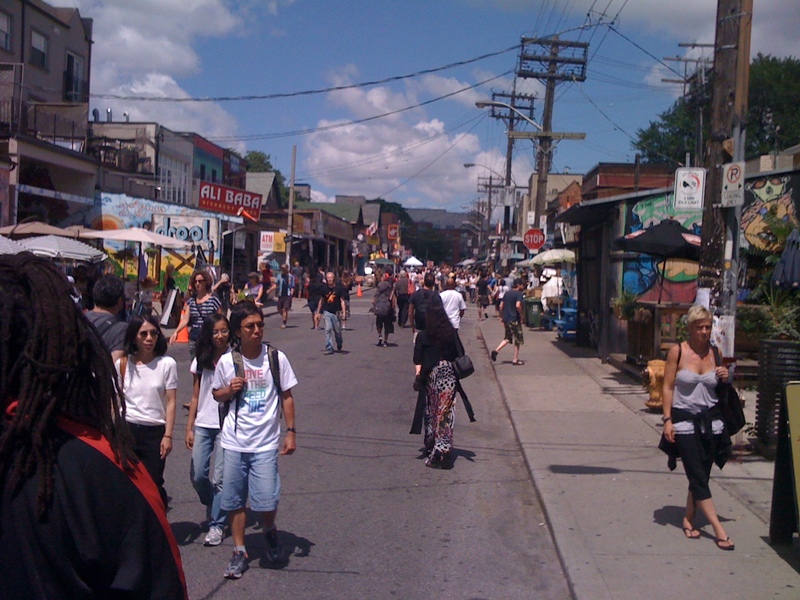 It is a common theme in many cities, from providing street fairs to leisurely strolls. European cities are heralded for their fantastic urban squares and plazas. By contrast what we really have in North America is the street. What are some of the elements/ characteristics that make great streets and thus, great American public spaces? The street has been studied and analyzed by many urban luminaries. One such person was the urban activist Jane Jacobs. Jacobs’s fascination with the public realm was clearly articulated through the many chapters of her seminal text “The Death and Life of Great American Cities” that were devoted to the “uses of sidewalks”. 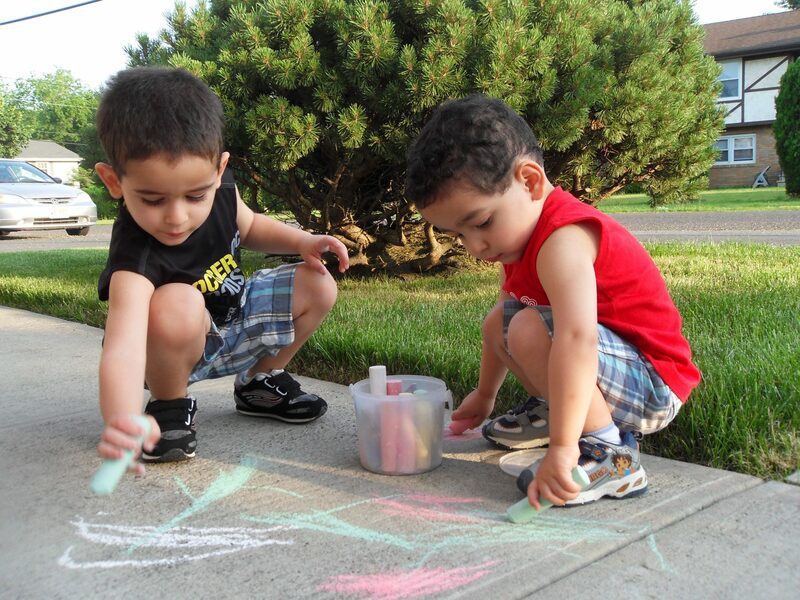 Sidewalks provide space for children to engage each other. The lack of sidewalks in many suburbs has the opposite effect. The condition takes a space that should be shared and turns it over solely to the automobile. This inherently limits freedom and decreases safety for the pedestrian. Jacob also looked at the “mythology” created around the issue of mixed uses and densities in neighborhoods. She posited, contrary to the accepted beliefs of her contemporaries that mixed uses and density were not inherently undesirable. Jacobs advocated a messy vitality. What gives a street that type of liveliness according to Jacobs? 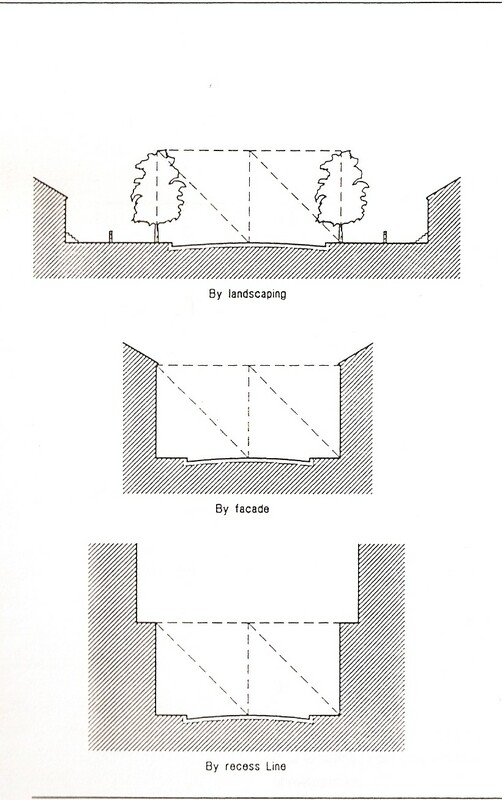 1.. Clear demarcation between public space and private space. House or shop space vs. space that belongs to all. 2. Eyes on the street. Plan elements (bay windows, balconies, stoops, steps, etc.,.) for the “proprietors” of the street. 3. Street and sidewalks must be in constant use. Street must have destinations and must have attractions along the way. 1. The area as whole must serve at least two functions ( i.e., living, working, shopping, entertaining) so that the area is used at different times of the day. 2. Short blocks, to promote corner sites. 3. A mixture of old and new buildings. The idea of adaptive reuse adds value to the economy of the street. 4. High concentration of people on the street. Those who live there, work there, and act as “proprietors”. A current area of emphasis in urban design is the Complete Streets movement. This looks at the street in relationship to multiple modes of transport: car, bike, mass transit, and walking. This is the beginning of really understanding the street as urban space. In a previous post we discussed how development patterns have led to a linear nature for our cities, emphasizing corridors. We need to see these corridors as opportunities. By viewing the street as a public space rather than a transportation artery, we open up possibilities for new urban relationships and cost effective transformations that can easily enhance public life. Large streets of excessive and pedestrian-intimidating width are about to be re-envisioned.